Yu-kai Chou is an Author and International Keynote Speaker on Gamification and Behavioral Design. He is the Original Creator of the Octalysis Framework, and the author of Actionable Gamification: Beyond Points, Badges, and Leaderboards. He is currently President of The Octalysis Group and the Founder of Octalysis Prime, a Gamified Mentorship Platform. 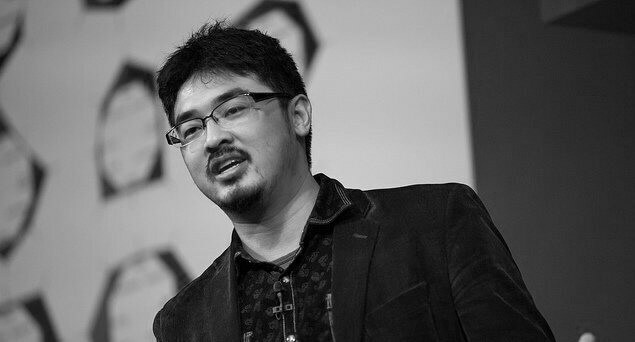 Yu-kai has been a regular speaker/lecturer on gamification and motivation worldwide, including at organizations like Google, Stanford University, LEGO, Tesla, TEDx, Boston Consulting Group, Turkish Airline, Huawei, the governments of UK, Singapore, South Korea, Kingdom of Bahrain, and many more. His work has affected over 1 Billion users’ experiences across the world. Yu-kai was one of the earliest pioneers in Gamification, starting his work in the industry in 2003. In 2015, Yu-kai was rated #1 among the “Gamification Gurus Power 100” by RISE, and was also awarded the “Gamification Guru of the Year” Award in 2014, 2015 and 2017 by the World Gamification Congress and the Gamification Europe Conference. He has helped a variety of companies, from seed stage startups to Fortune 500 companies such as LEGO, Uber, Volkswagen/Porsche, Sberbank, eBay, Fidelity Investments, AIG Japan, Verizon, and more. His work has been featured in Forbes, The Wall Street Journal, Business Insider,The World Journal, PBS, NBC, and many more. Previously, Yu-kai was the Chief Experience Officer of the Blockchain company Decentral, working with the Co-Founder of Ethereum Anthony Di Iorio to create delightful Blockchain experiences. Yu-kai sits as a Board Advisor for many organizations and companies through out North America, Europe, and Asia, including HatchPad.co (crowdfunding site for young entrepreneurs), Capfields (IT Sourcing company based in Luxembourg), DreamsCloud (biggest company that gathers dreams), Ongo (gamified health platform), BALANCE Edutainment (creators of Pacha’s Pajamas), Loki Studios (creators of Geomon and sold to a Yahoo), Clade (crowd funding platform for the super class), and many more. Yu-kai is a follower of Christ, and his other hobbies include playing/teaching chess, writing/playing string quartet pieces, supporting his Esports Team, rating high quality movies, though he rarely has time for these hobbies. Yu-kai is the proud father of his twin daughters, Symphony and Harmony.